Everyone always asks me about balance. My answer is that I don’t strive for balance in all my roles at the same time, or spend time thinking about work-life-family balance and how I don’t have it. I believe that you can find balance in a moment, or in a period of time and believe that sometimes our lives call for more of one thing than another. For example, right now I have two very little girls. They require a lot of my time: the planning, the logistics, and the good stuff, the LOVE and attention. Rather than resist my new role as a mother and focus on the things that aren’t as present in my life (free time! Sleeping in! ), I’m choosing to focus on what is present, and how I can feel balanced within that. I use tools to support me in this (read: Essential Oils!). There isn’t this “perfectly balanced” state of mind for us to attain. How can we bring more balance into our moment, our morning, our now? Here’s an example… If you’re feeling like you never eat healthy enough because you never have time to make the recipes in all the healthy cookbooks you have, let go of that thought. Go treat yourself to a healthy meal somewhere you love and savour the love someone has poured into the food you’re eating. Or if you feel like you never get self-care time, commit to a 20-minute bath with a beautiful Essential Oil. Stop surfing social media, turn your phone off, fold-up the to-do list, and feel the way you want to feel (I need this reminder myself, so I’m sharing it with you). Essential Oils are currently my favourite self-care tool for feeling the way I want to feel. And the best part? An Essential Oil can shift a mood or a feeling IN A MOMENT for me. They work quickly. Watch the video below that I made for you on the doTERRA Balance Oil. I use this oil daily. 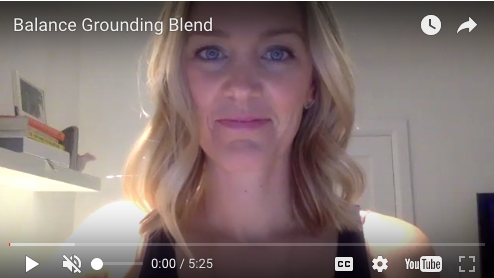 It’s a “Grounding Blend” to soothe anxiety and overwhelm. 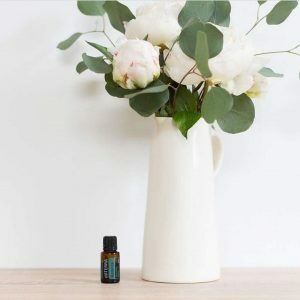 Find out which trees and root oils in this blend bring a sense of calm, emotional release and work to uplift your spirit.